The Health Insurance Portability Accountability Act (HIPAA) is one of the most sweeping sets of regulations on the books, and for good reason. Personal healthcare information is both highly sensitive and highly vulnerable. Keeping it safe and secure is both a legal and an ethical obligation for every organization in healthcare. 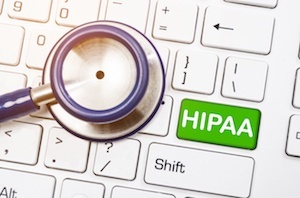 The challenge facing these organizations is that HIPAA compliance is notorious for requiring a lot of input without offering a lot of confidence. Protecting every patient record against every potential threat according to every applicable regulation is a major undertaking. And, considering that a single violation can carry a minimum penalty of $50,000, any amount of uncertainty around compliance is a serious liability. If you missed my post a couple of weeks ago about the 1099 deadline, or if you simply fell behind and didn't get all your 1099-MISCs out the door to your vendors by the February 1st deadline, don't despair. The world is still turning and life is going to go on. It's not the end of the world, and you can still get yourself in compliance relatively easily. Doing nothing because you think it's too late is not a good option, though. That can get you into trouble with the IRS. February 1st is the deadline for submitting 1099s to recipients. If you are a business owner, CFO, Controller or responsible for your company's accounts payable department or tax filings, you may know that 1099s are an informational return that is required to be filed with the IRS to report individual income that is not reported on a W-2 as wages, salaries or tips. There is often some confusion about the 1099 process and related rules, and the February 1st deadline sometimes sneaks up on companies. Ephor Group Chairman Garry Meier Talks About Lessons Learned in the New Economy for SMBs, AcctTwo CEO Marcus Wagner talks about business process outsourcing for SMBs, Intacct Channel Executive Peyton Burch talks about the benefits of Intacct's on-demand accounting and financial management system.